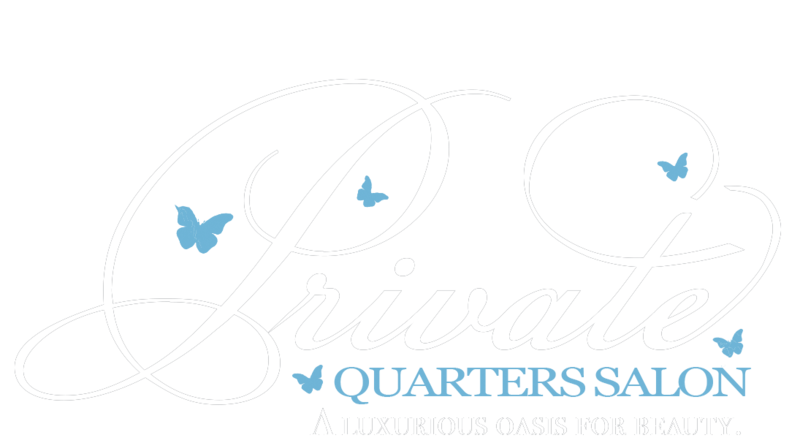 Private Quarters is a luxurious salon specializing in hair extensions, weaves, and custom wigs. Our clients can bring in their own hair extensions, weaves or custom wigs for us to service. Private Quarters Salon also sells our own line of hair extensions, weaves, closures and custom full lace wigs. We will make every effort to match each hair extensions/weave bundles, closures, and wigs to our client’s specifications. Private Quarters Salon can color, cut and style your hair extensions or wigs to your specifications. Our PQ hair line is 100% Virgin Remy human hair and each individual hair items comes from a separate donor, therefore, we cannot guarantee hair color or texture. Our hair comes in straight, body wave and curly patterns. The color is natural and ranges between 1b (off black) and 2 (dark brown). The salon offers privates suites for our clients who prefer getting her hair services & hair treatments done privately with just her and her beautician. Private Quarters is also where you can buy hair extensions, wigs, and bundles. We have a diverse staff, and we work on all hair types and textures. All of our consultations and hair treatments are performed in your own private suite. So whether you are experiencing thinning hair, want to add length, or you just want to be pampered in one of our beautifully designed salon suites. We have a variety of hair for you to choose from. Our Remy 100 % Virgin hair bundles are unprocessed human hair that will guarantee a more natural look that you can appreciate. Hair extensions and weaves afford you a lot of versatility freedom, but at the same time, you can’t neglect your own hair while wearing one. Private Quarters offers Weave & Extensions maintenance. Taking care of your natural hair when it’s weaved away will ensure that once the weave is removed, your hair new growth is healthy. Virgin Remy Hair Extensions bundles. Call our Concierge desk to schedule your complimentary consultation or appointment. *Please note, all wigs, hair extensions, closures and weave bundles sales are final. No returns will be permitted. Private Quarters is a local hair salon where you can buy hair bundles and hair extension. Serving South Orange, Maplewood, Livingston, Millburn, West Orange, East Orange, Orange, Montclair, Bloomfield, Newark, and surrounding areas with exceptional services to exceed the most demanding standards!